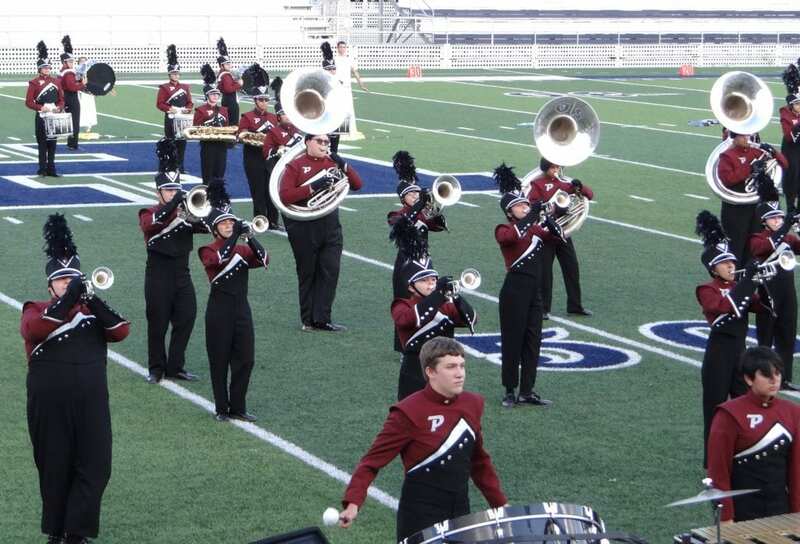 Atascosa County high school band members displayed their fine talents at the Region 11 UIL 4A and Below Marching Contest on Oct. 14. 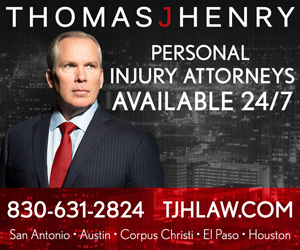 The event was held at Barry Field in Hondo. The Mighty Eagle Band earned its 12th consecutive division 1 rating at the event. The band has 117 members and they performed a show based on Modes of Transportation. The group, led by drum major, Haley Johnson and assistant drum majors, Travis Minniear and Zoe Castillo, performed exceptionally with positive comments from the audience and the judges. 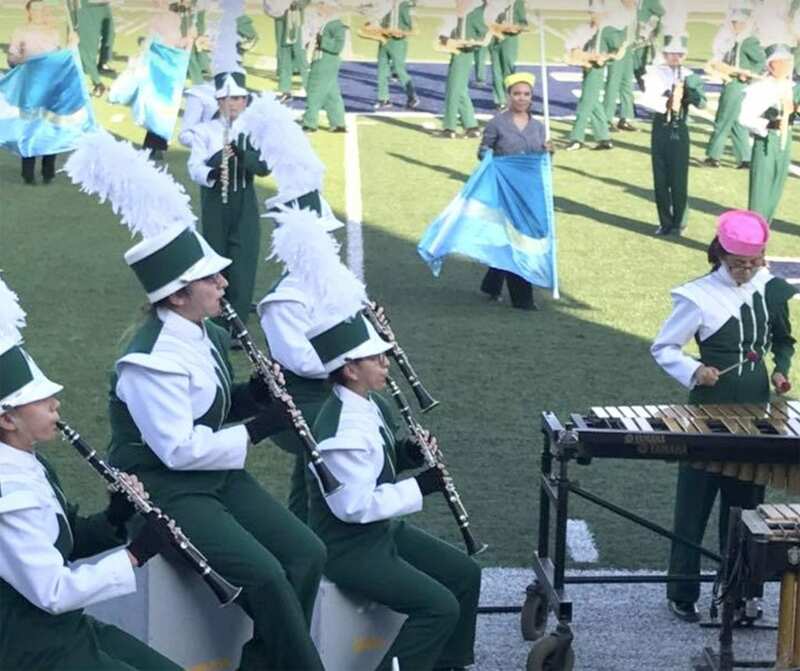 The judges had many positive comments letting the students know they had a “great show,” “very mature sounds,” “great drum line” and, best of all, “bravo band.” It was the highlight of marching season on Saturday as the seniors celebrated their last marching contest in high school. Mr. Unger, Pleasanton Band Director, was very impressed with how well the students performed. “It was tough marching in the heat and humidity but it did not deter them from doing so well.” He also stated that, “I am very proud of our students and how hard they work and behave. Such a fine group.” This is not an advancing year for the Mighty Eagle Band so they have four football games remaining and then they will begin preparations for their annual Christmas Concert which will be held at the Douglas R. Williamson Performing Arts Center on Dec. 4. 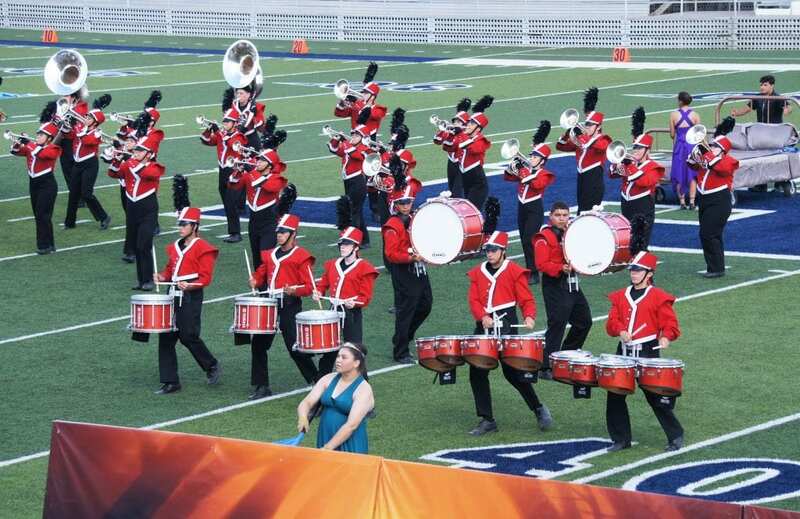 The Jourdanton High School Indian Band also earned a Division 1 rating, for the 14th consecutive year. 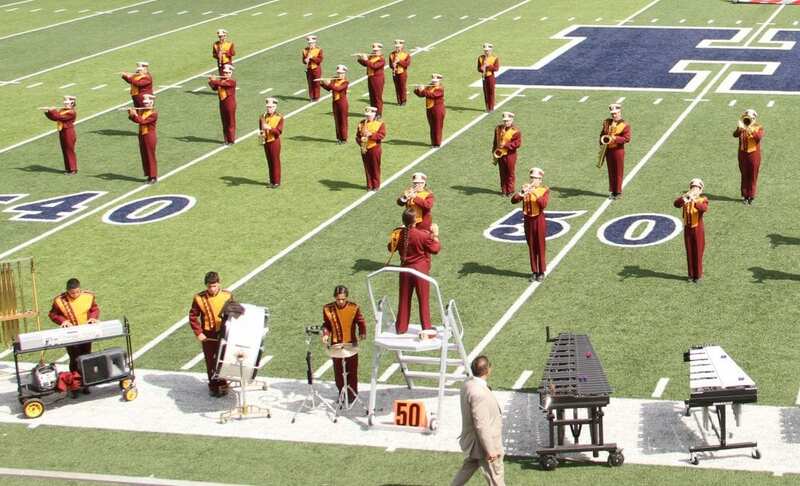 The band now advances to the Area competition on Saturday, Oct. 28. The Poteet Aggie Band received a Division 2 rating. Comprised of 85 members, their show theme this year is “Let Them Eat Cake.” Aggie Band Director is Eduardo Solis and Assistant Director is Roger Muñoz. Drum Majors are Linda Jackson and Dalia Montes. The Charlotte High School Trojan Band also received a Division 2 rating at the marching contest.